Looking for the best auto repair shop in West Covina? Johnny’s Auto Service is the automotive repair facility you’ve been looking for. We are an AAA approved auto service that has achieved 100% customer satisfaction ratings from AAA three years in a row! 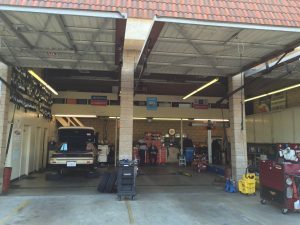 What makes us the best auto repair shop in West Covina? Our shop is Automotive Service Excellence certified, has top of the line equipment for repair (without a dealership price tag), and has been in business for over 35 years. If you do not know a ton about vehicle repair, it can be intimidating to bring your vehicle to a shop. Have you been to a shop that has confused you with technical jargon? At Johnny’s Auto Service, we do not confuse our customers when we explain estimate’s or repairs necessary. In fact, if you do end up confused, please let us know and we are happy to explain it to you in different ways until you understand what is going on with your vehicle. We want the automotive repair process to be as enjoyable as possible, and we keep our customers in the loop every step of the way. “Love Johnnys! I wouldn’t take my car anywhere else, I completely trust them. They never try to oversell and have always been reasonably priced for repairs”. For the best auto repair shop in West Covina, at the best prices, call Johnny’s Auto Service. We are an AAA approved auto service that does the job right the first time and provides an unbeatable warranty!